We think this is the crème de la crème of christening gifts! A beautiful watercolour style print of Marie, from the Disney animated film, The Aristocats, sitting on a tasseled pink pillow, alongside the phrase 'Our little Princess' in a glittery rose gold font. This gorgeous print is mounted in a floating style, over a light pink background, and presented in a crisp white frame. 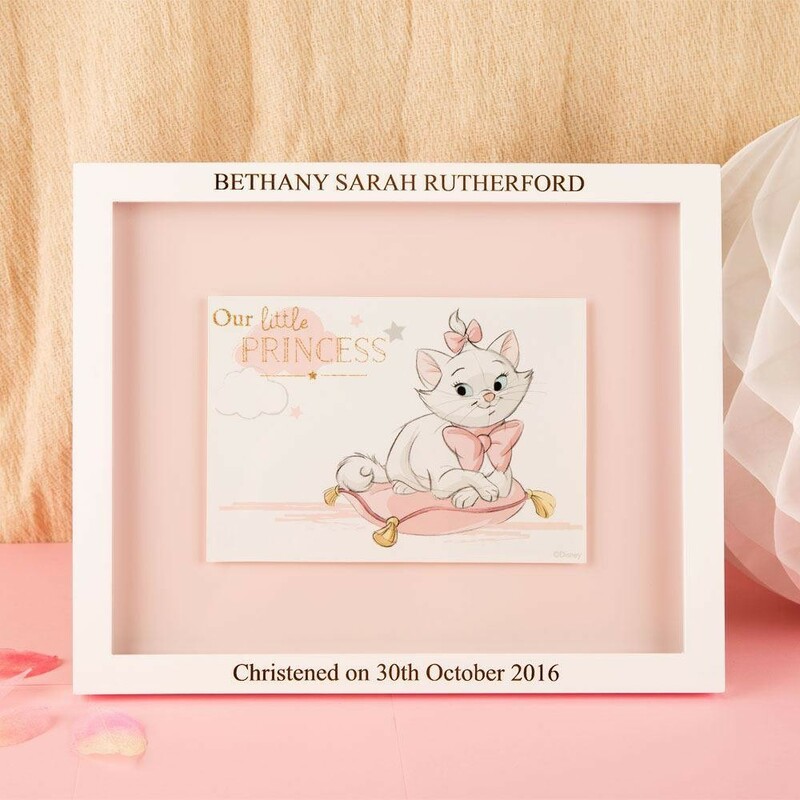 Our professional team laser engrave the child's name and christening details onto the top and bottom of the white frame. 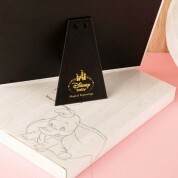 The back features an official Disney gold embossed stand and hanger and will look equally wonderful sitting on a chest of drawers or hanging on the wall of a little girl's bedroom. 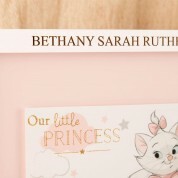 The frame comes in a grey gift box with the Disney Baby logo gold embossed on the front.